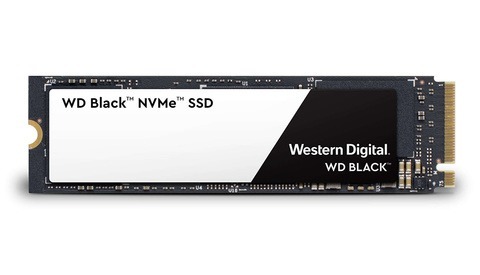 NAB 2018 seems to be the year of ultra-fast NVMe solid state drive releases. 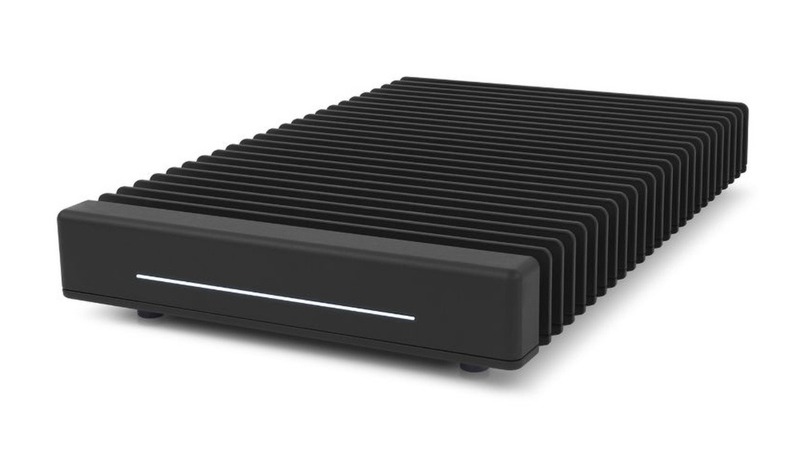 Now, OWC's newest ThunderBlade external SSDs fit for editing 8K video are available to ship today in capacities from 1 TB to 8 TB. With dual Thunderbolt 3 ports, the new ThunderBlades can be daisy-chained alongside five additional devices for a total of up to 48 TB in ultra-fast storage. And by connecting more than one drive with SoftRAID, these speeds can increase another gigabyte per second to 3,800 MB/s. That would allow a 1 TB transfer in under four-and-a-half minutes. Advertised as the fastest external drive available, the ThunderBlade matches the speeds offered by G-Technology's latest solid state drives announced earlier this week. 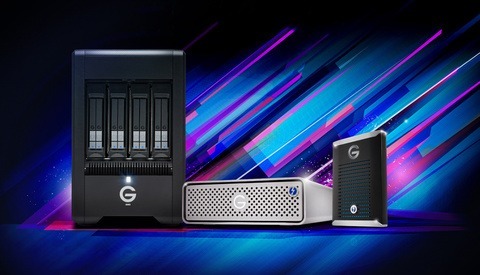 In comparison to G-Technology's G-Drive Pro SSD AC-powered drive, the ThunderBlade offers very similar features and storage options, but at up to one-third the savings, with prices from $1,199 for 1 TB and up to $4,999 for 8 TB compared to the G-Drive Pro SSD's $1,399 for 960 GB to a whopping $7,599 for 7.68 TB. These do, however, come with a three-year warranty compared to G-Technology's five-year warranty. 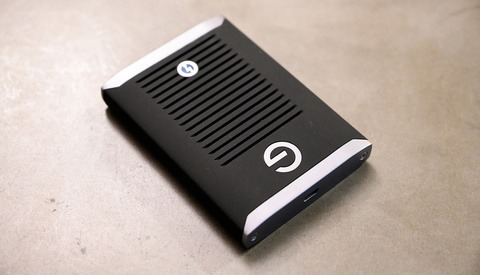 But you'll also have to wait until May for the G-Drive Pro SSD. OWC's ThunderBlade drives are available now and ship today from B&H in 1 TB, 2 TB, 4 TB, and 8 TB capacities. Technology is getting unbelievable, and the pricing reflects that. lol. Good for the people who can pop for this. This isn't necessary for editing 8K...marketing garbage. I've been doing that right off a Samsung SSD with zero issues. Those Samsung SSDs are amazing. And the tiny size. Great stuff. And don't forget the price...Can buy two of them and still have cash leftover to get into a little trouble afterwards!